Feefo's Neil McIlroy tells us why AI can transform a number of industries. Businesses know it but are aware of their technological shortcomings. 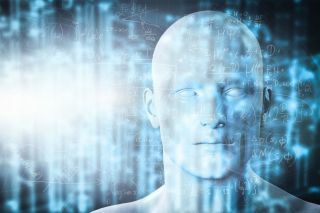 Research found that more than half of IT decision-makers (53 per cent) want to use AI’s predictive capabilities to engage with customers by anticipating their requirements. Yet 81 per cent acknowledge they need help with AI. The technology offers the ability to uncover hidden trends and extract actionable insights in real time from a data lake that is a blend of all the customer data it has access to. One important element is often overlooked, however, which is customer sentiment. Every day millions of customers leave opinions about services or products that if effectively analysed, offer a wealth of insights into where enterprises are getting it right or wrong. Smart, AI-powered review platforms are already highly attractive to consumers, analysing the feedback of thousands of real fellow-customers to give fast access to the aspects of a product or service that most interest prospective purchasers. AI analyses this sentiment against the mass of consumer data automatically collected about transactions and customer habits, stock availability, logistics and product specification data. Smart review platforms are one of the most vital sources of customer sentiment that AI can leverage. Dating apps, after all, already employ AI to create stronger matches between users, to moderate the content that is shared between them and to offer advice on improving the attractiveness of a profile. AI will rapidly analyse the information to spot important trends as soon as they emerge. Take an online retailer selling washing machines. Customers in Durham, for example, may have problems with delivery, whereas customers everywhere else in the North East are happy. What might be the cause? Equally, two retailers selling the same model of washing machine may generate very different levels of satisfaction in their respective sets of customers. AI can rapidly drill down and blend all the available data to find out the likeliest causes of these problems. Acting on the insights generated will give any customer-facing business a major competitive advantage. From supply chain managers to online helpdesks and store assistants, access to this information in real time allows them to meet changing customer demand or resolve problems before they get out of hand. In the travel industry, sentiment is hugely important. A series of bad reviews can sink a holiday package, hotel or destination. Customers are also more likely to leave reviews because of the significance of holidays and their cost. AI gives travel companies and tour operators the ability to both extract the key elements from thousands of reviews and to compare that data with transaction data about individual destinations and the numbers travelling to them. This will establish significant trends and expose where the business is excelling and where it is falling short of expectations. Operators can, for example, uncover whether larger groups register greater satisfaction at a particular hotel or whether younger visitors are more likely to be unhappy with a specific package. AI is just as effective in the service sector when it has access to sentiment and all the other details of customer interaction. In recruitment, for example, smart review platforms are highly effective in demonstrating to job-seekers how agencies perform. They also allow the business to analyse how its branches and individual consultants are performing, using the feedback of authentic customers. But a smart review platform will also have hugely valuable information about the journeys of candidates, so that brands can establish trend data, demonstrating how candidates have arrived, where they apply to and where success is most likely for particular demographics. Using this information, a recruitment business can quickly adapt the service it offers to groups or individuals – adapting procedures and tactics to make life easier for candidates. But AI may also indicate that a large local accountancy practice or logistics business is consulting on redundancies before any details are made public, giving a recruitment agency an important competitive advantage over its rivals. Right across business, AI is now capable of analysing the data from multiple channels, empowering companies to learn more about their customers and hone how they target specific audiences. Smart review platforms are a vital element in this jigsaw, attracting genuine feedback from real customers. Most of us have long been familiar with the basic predictive abilities of online retailers, recommending what we might also want to buy. For consumer-facing businesses, AI takes this much, much farther and puts them in the driving seat of positive change.